Ridge to Reef (R2R) – Watershed Rehabilitation | FEED, Inc.
By linking action and implementation of integrated & sustainable river basin, watershed and coastal zone management, R2R aims to support ecosystem services and improve agrarian, riparian and coastal livelihoods. Watersheds in the Philippines are vital life support systems that provide invaluable services such as water supply for irrigation, biodiversity conservation, hydropower energy, and maintenance of river, lakes, wetlands and coastal ecosystems. Many watersheds in the Philippines are in varying states of degradation saddled with problems of soil erosion, unpredictable streamflow patterns, diminishing groundwater reserves, loss of biodiversity, and declining land productivity. 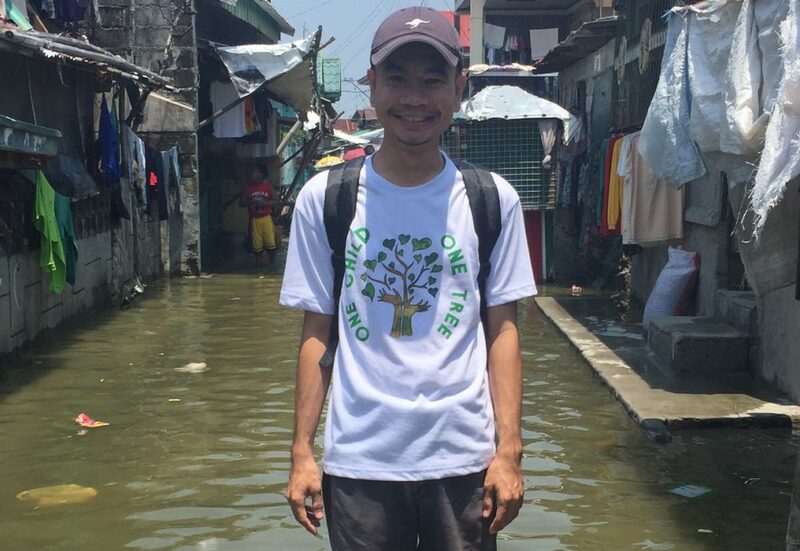 To facilitate science-based watershed management in the Philippines, we need to understand the physical, biological and socioeconomic attributes of watersheds in relation to its vulnerabilities to climate change and other human and natural stressors and their impacts on watershed functions; which, is ultimately expected to improve the responsiveness and effectiveness of watershed management decisions on climate change adaptation, disaster risk reduction, conservation of soil, water and biodiversity, community & livelihood development and sustainability. Towards the end of 2012, following exploratory talks held with the Regional, Provincial and Central levels of the Department of Environment and Natural Resources (DENR, La Union) and their recently published Integrated Watershed Management Plan, FEED sought the advice of former Mayor of San Fernando City, La Union, Mary Jane Ortega to initiate official enquiries seeking support from Philippine-based watershed experts for capacity building from the University of Los Baños (UPLB) College of Forestry & Natural Resources (CFNR), through FEED Special Advisor then-Chancellor Prof. Dr. Rex Victor O. Cruz. The Baroro River Watershed (BRW) is located at the northeastern portion of the province of La Union. It lies within 16o36’59’’ to 16o44’7” latitude and 120o20’20”to 120o32’6” longitude. BRW is bounded on the North by portions of the municipalities of Santol and Bacnotan, on the east by portions of the municipality San Gabriel, on the south by portions of the municipality of Bagulin and the city of San Fernando and on the west by the China Sea where the Baroro River finally drains. The BRW has a total land area of 19,603.07 has covering the Municipalities of San Gabriel, Bagulin, San Juan, Bacnotan and Santol and the City of San Fernando, in La Union. Out of the 19,063.07 ha area of the watershed, only 28.08% or 5,353.86194 ha are timberland. Alienable and Disposable land is 71.91% or equivalent to 13,709.20806 has. A water intake pipe was installed by the La Union Water District (LUWD) at barangay Lon-oy, San Gabriel and the reservoir is constructed in Poblacion, San Gabriel. This provides water supply to the municipalities of San Gabriel, San Juan and San Fernando City. This capacity building program was envisioned to help enhance the capability of the identified stakeholders of the Baroro Watershed for collaborative and participatory long term monitoring and assessment of the overall health, vulnerabilities and development potentials of selected watersheds in the Philippines to promote science-based watershed management in general and to promote climate change adaptation, disaster risk reduction, conservation of soil, water and biodiversity in particular. To promote science-and technology based watershed management in the Philippines, long-term watershed monitoring was initiated in three selected watersheds in 2011 and another 3 watersheds in 2014 to fast track the build up of empirical databases, technologies and other knowledge products. To facilitate the monitoring of other watersheds in the country, this project aimed to hasten the development of capacity of local stakeholders in Baroro Watershed from which case best practices in capacity building shall be distilled for wider application in other watersheds. Currently, the BRW serves as sources of water, food, livelihood, power and recreation for its stakeholders. In order to mobilize them to implement development activities, vision formulation was conducted so that the stakeholders’ planned initiatives are unified. For those in the municipalities of Bagulin, Santol and Bacnotan, the BRW is envisioned to be the best watershed in the Philippines. While for San Gabriel, the vision is to have a protected watershed that is able to reduce disaster risks. Those from the Municipality of San Juan and the City of San Fernando envision the watershed as a source of sustainable, clean and safe water for all. Other stakeholders envision a community-led model for successful watershed management in the Philippines. There was the need to create awareness on effective watershed management, waste management, pollution control from the households, community organizing, and health, safety and sanitation. Hence, before the training courses were conducted, the needs assessment was conducted during the Forum held last September 18, 2014 at San Gabriel, La Union. This project conducted an adaptive capacity building program to empower the LGUs, local communities, teachers and students, NGOs and technical personnel of private corporations, other local stakeholders to conduct collaborative and participatory watershed monitoring. A combination of lectures, workshops, demonstrations, field visits, online learning methods, and experiential learning were conducted. Three training courses specifically for 1) LGU personnel and farmers; 2) secondary students and their teachers; and 3) other public, municipal and regional stakeholders were held. The watershed monitoring system included instruments like Automated Water Level System and the Automated Weather Station that were installed along the Baroro River. The stakeholders were trained to maintain as well as manage and process the data from these instruments along with other information being gathered for planning, disaster risk reduction and other purposes. Enrichment of indigenous knowledge and skills of local stakeholders especially the local communities with the infusion of science and innovative tools and methods. Like most watersheds in the Philippines, the BRW faces problems including deforestation, extraction of wild plants and animals, water pollution, land-use changes, urbanization, erosion, non-implementation of comprehensive land-use plans, policies and ordinances regarding the watershed, lack of public awareness and improper waste disposal. Programs implemented in the watershed so far are mostly of the tree planting activities. The participants proposed that aside from tree planting, programs on the implementation of policies for the protection of the watershed, and creation of a watershed management council/committee that will oversee the development and management of the BRW should also be made possible. Perennial tree planting (timber, fruit, and coconut), rearing of fish or shrimp, and vegetable production were identified as potential livelihood opportunities. Other livelihood opportunities include ecotourism, biodiversity sanctuary and renewable energy source. Potential ecotourism activities include tree parks, river cruise, and non-motorized sports. Community livelihood development will be the next phase of BRW’s enhancement program. Real-time database of BRW can be viewed at: www.philwatershed.org. Overview of Phase I of this project: Collaborative Monitoring System for Enhanced Watershed Management in the Philippines. Dr. Rex Victor O. Cruz, Professor, UPLB, Laguna. Dr. Wilfredo M. Carandang, Professor, CFNR, UPLB, Laguna. Dr. Vida Q. Carandang, Assistant Professor, CFNR, UPLB, Laguna. Ms. Catherine C. de Luna, University Researcher, CFNR, UPLB, Laguna. Genevieve A. Galapia, Project Researcher, Environmental Forestry Program, CFNR, UPLB, Laguna. Mr. Jacob Bakker, Chairman, FEED.